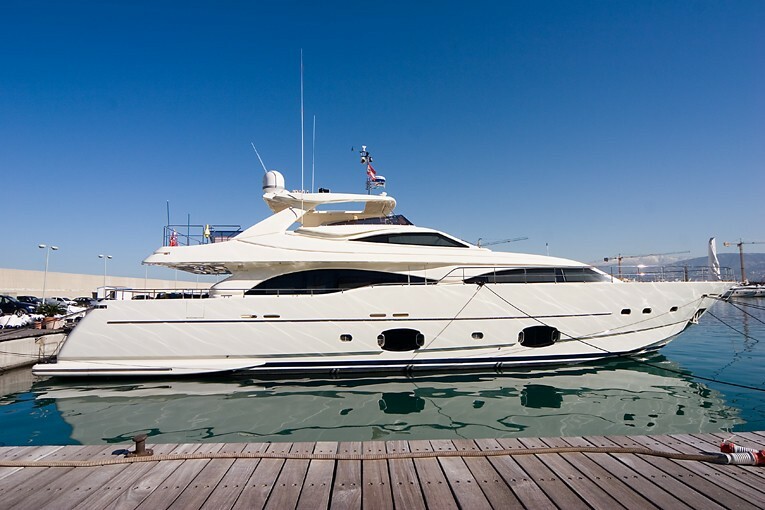 Luxury motor yacht AQUAHOLIC is an Italian built Ferretti measuring 29.5m (96.9ft). 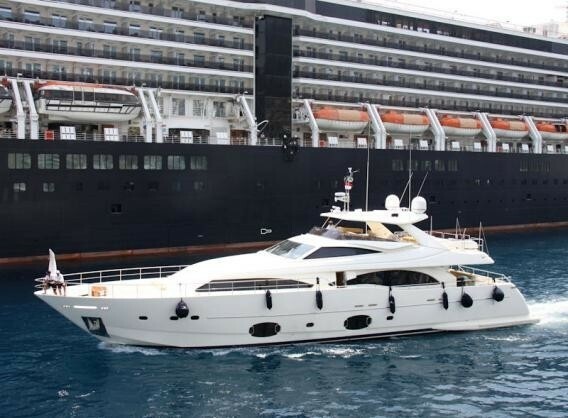 Offering 5 deluxe en-suite cabins, M/Y AQUAHOLIC accommodates up to 12 charter guests. 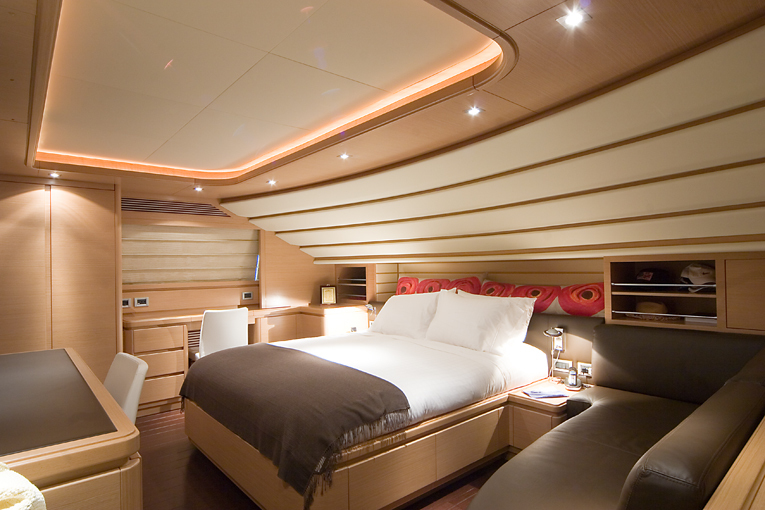 Crewed charter yacht AQUAHOLIC features a warm contemporary interior décor, with a timeless elegant ambiance. 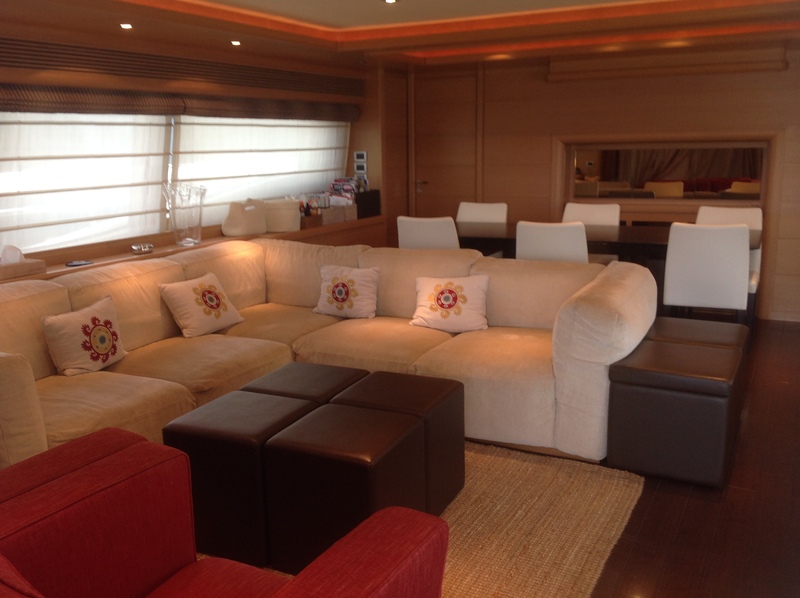 The salon offers a large plush sofa, occasional chairs and ottomans, set within modern light wood panels and rich dark wood floors. 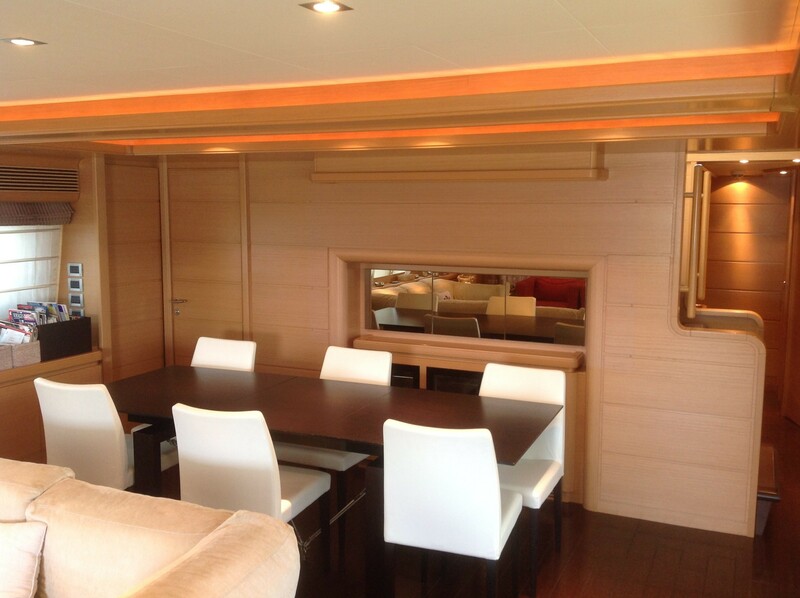 Forward of the salon is the formal dining table, flanked in high back leather chairs. 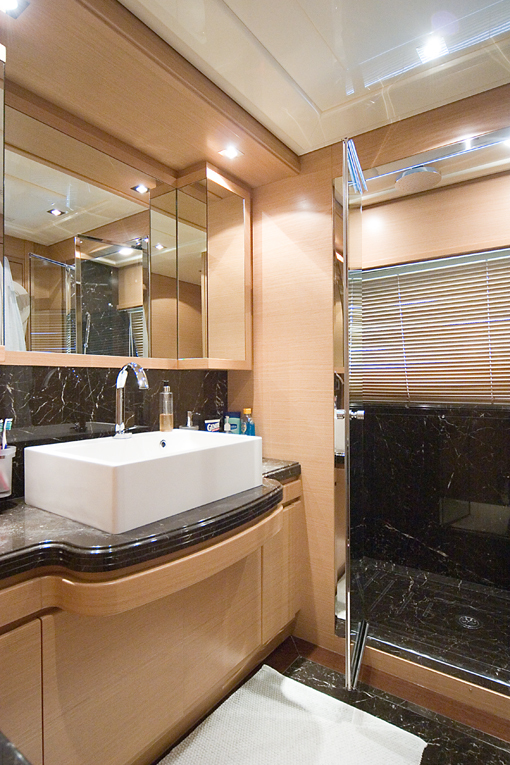 The salon boasts elongated side windows with cream toned roman shades, for optimum privacy. 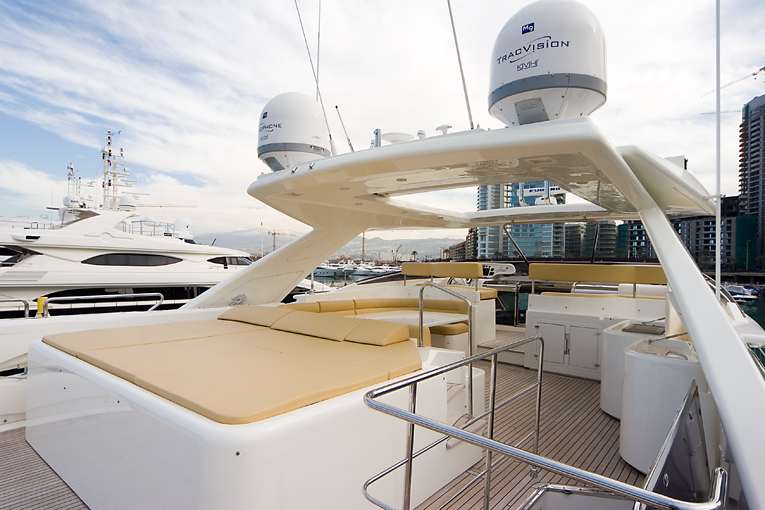 Forward of the salon on the main deck is the master stateroom, while above is the main helm station. 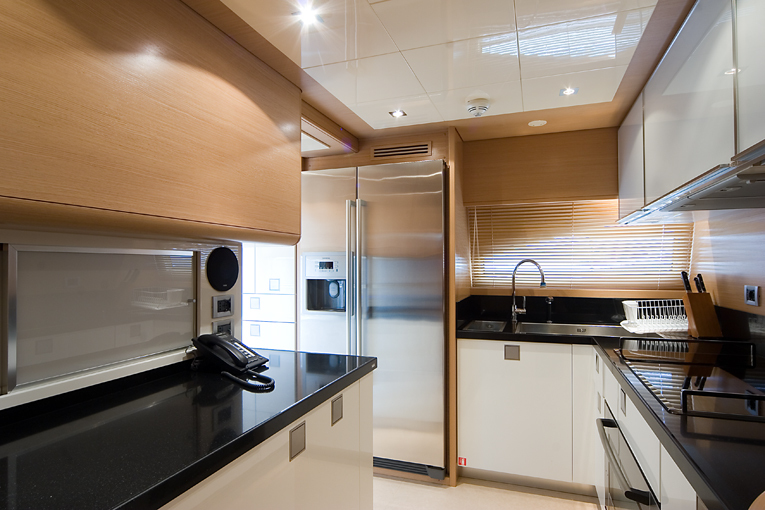 Further guest accommodation is below decks, in 4 en-suite cabins. 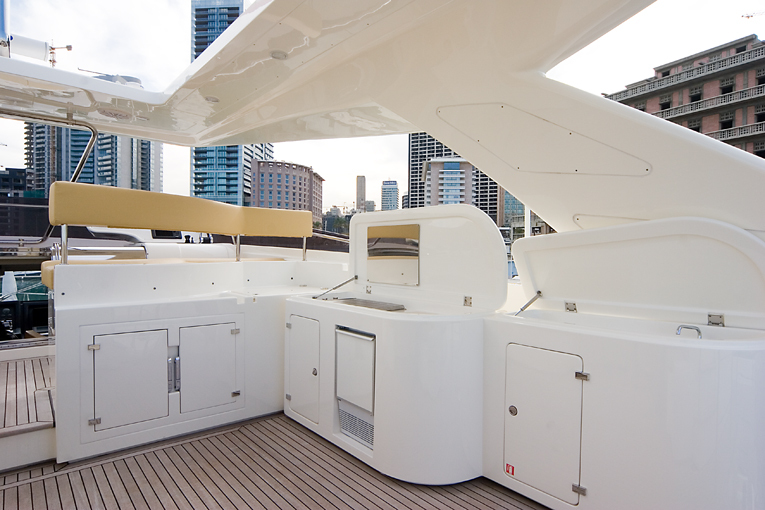 The Ferretti yacht AQUAHOLIC has well-appointed and spacious exterior living, on 2 decks. 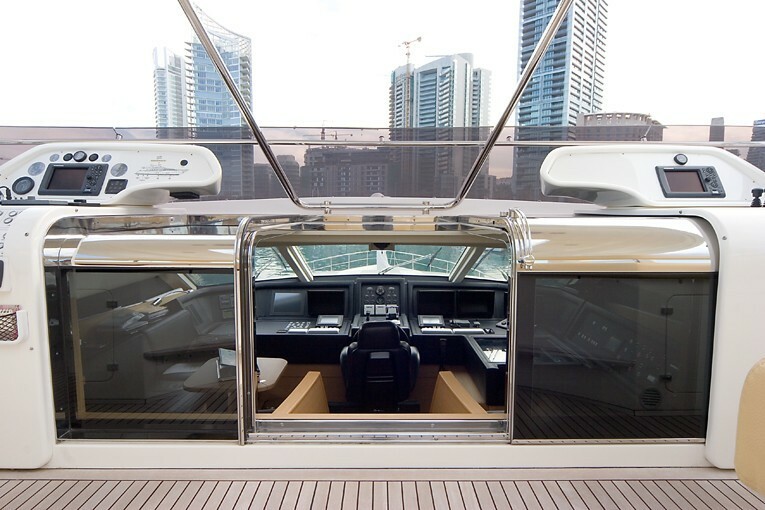 The aft deck has direct access to the salon, through sliding glass doors and features an alfresco dining option, ample seating, sunpads and partial shade. 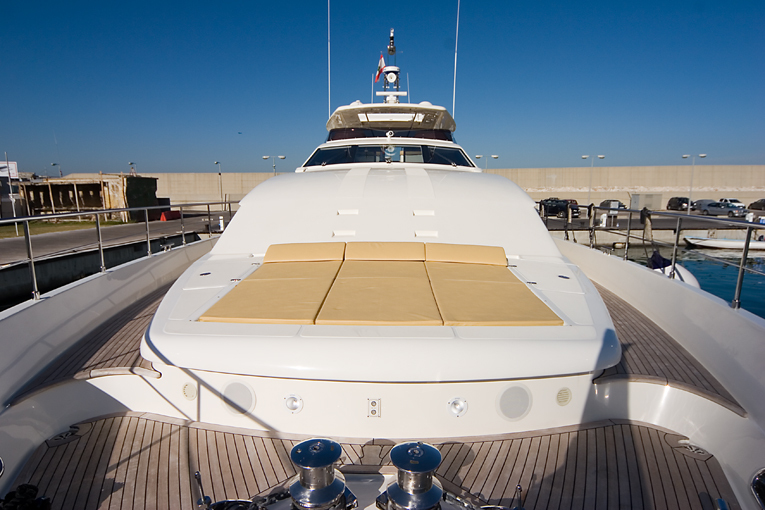 Port and starboard side decks lead to the foredeck and a triple sunpad. 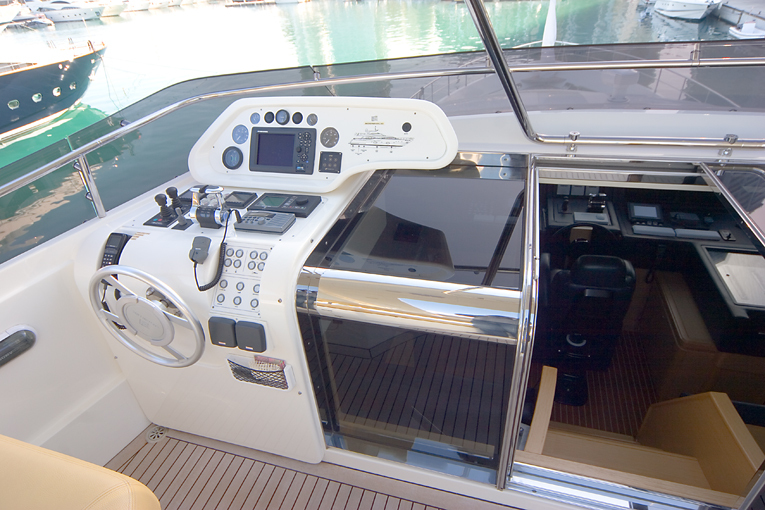 Water enthusiasts will find the extended swim platform on the transom, ideal for effortless water activities. 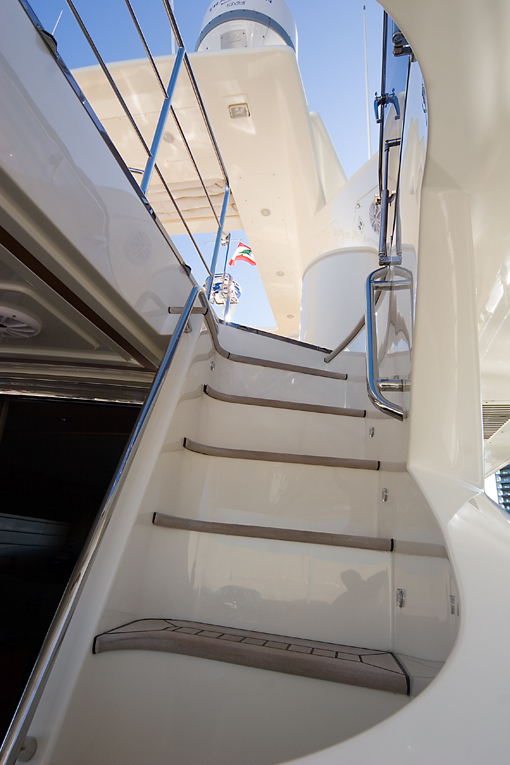 On the flybridge deck, an additional alfresco dining option and BBQ service station is perfect for casual entertaining. 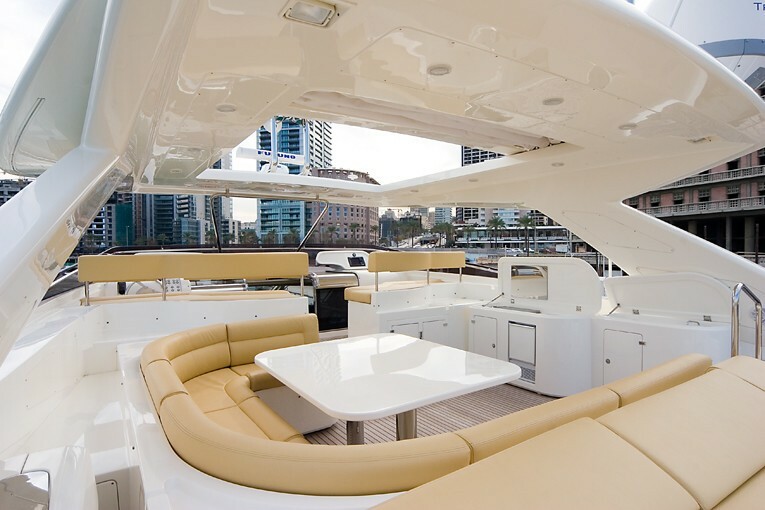 A large sunpad and ample seating complete the upper deck. 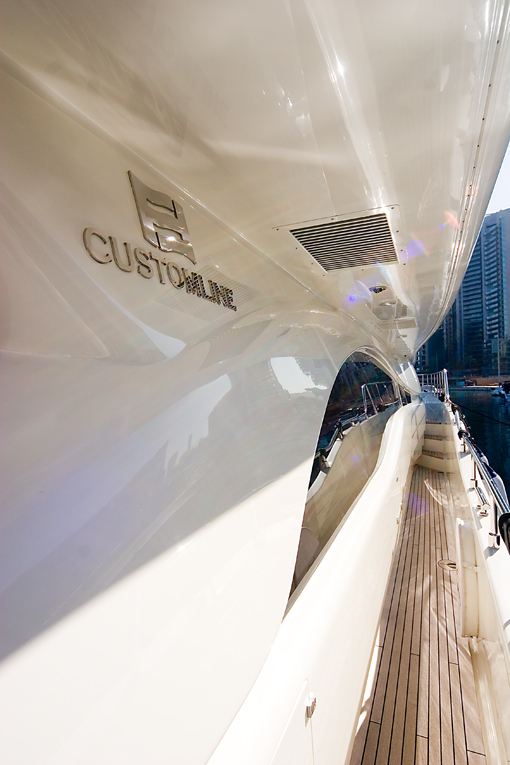 Powered by 2 x MTU engines, charter yacht AQUAHOLIC is capable of an impressive 20 – 25 knots. 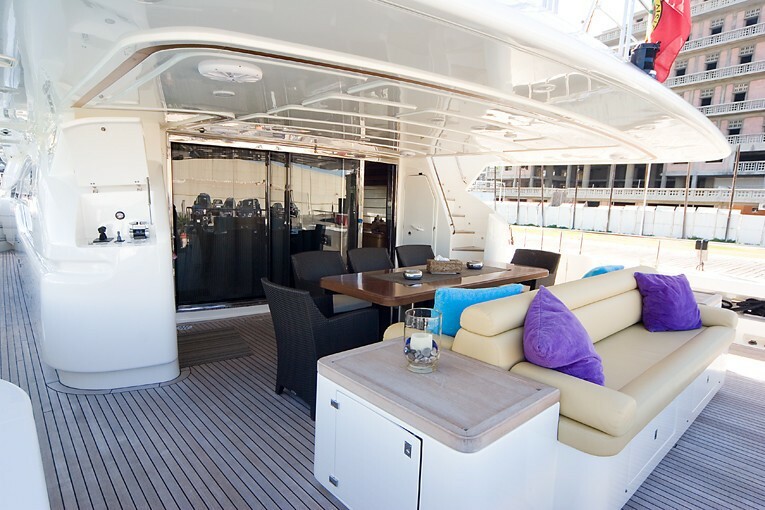 Luxury accommodation aboard the Ferretti motor yacht AQUAHOLIC is offered in 5 spacious cabins, for up to 12 guests. The master suite is full beam of the yacht on the main deck, forward of the salon, with a center lined queen size bed, sofa, vanity and study desk. 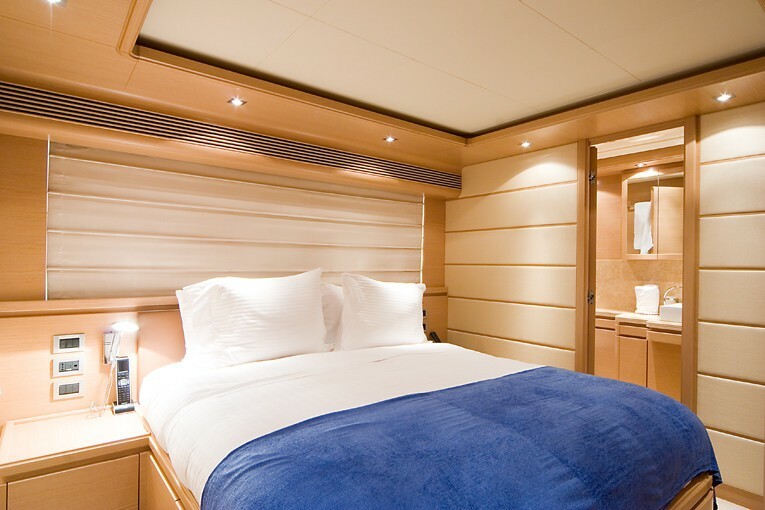 Below decks are 2 guest cabins with queen size beds and 2 guest cabins with side by side twin beds. 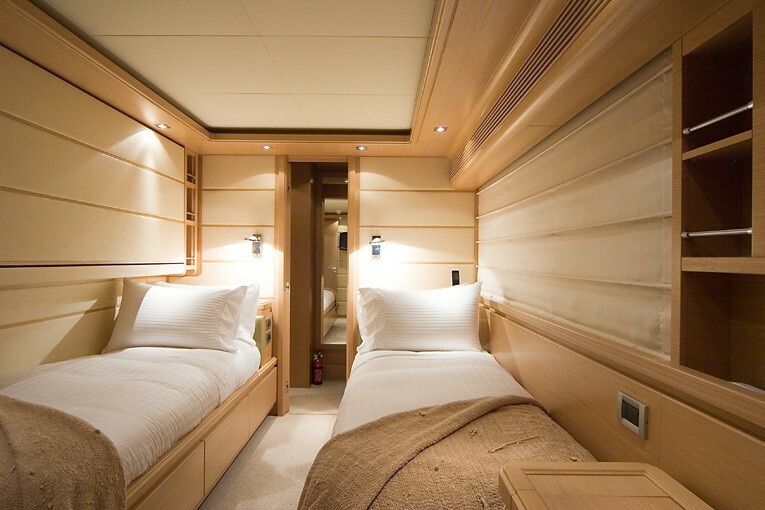 One Pullman berth is available in each twin cabin. 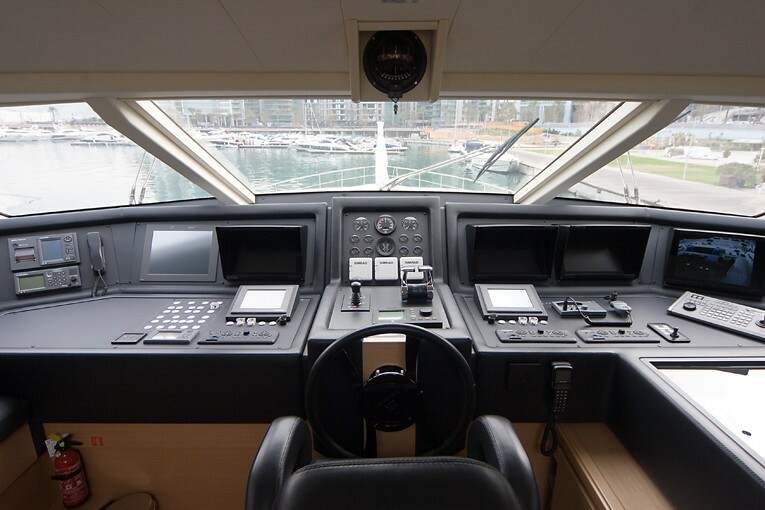 All 5 cabins are timeless, light, airy, and feature a modern and relaxed atmosphere.